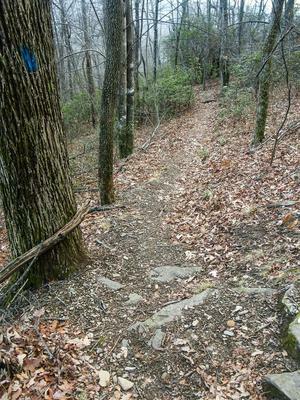 From it southern end at the junction with the Black Mountain trail, this trail descends Soapstone Ridge and reaches a junction with the Pink Beds Loop trail. 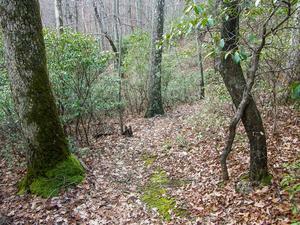 It continues straight, passing through the center of the Pink Beds Valley. 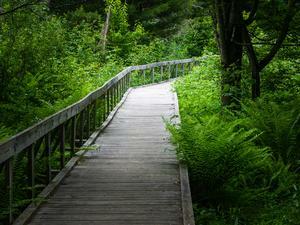 The valley section is flat and marshy, and crosses a long boardwalk/bridge over the South Fork Mills River. 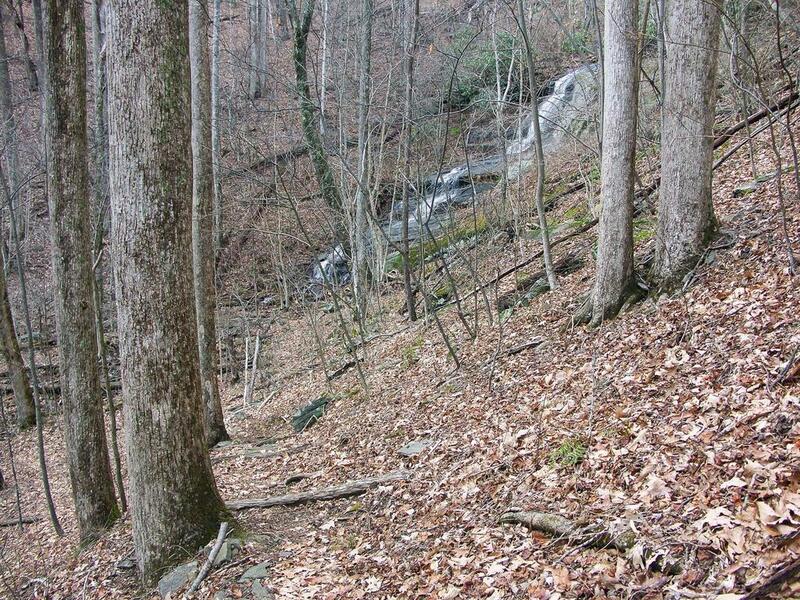 It reaches a junction with the other side of the Pink Beds Loop, then crosses Yellow Gap Road (FS 1206), and then passes a couple of nice waterfalls on the northwest end, just before ending at the intersection with the Buck Spring Tr. 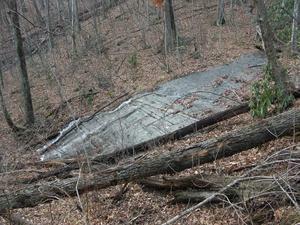 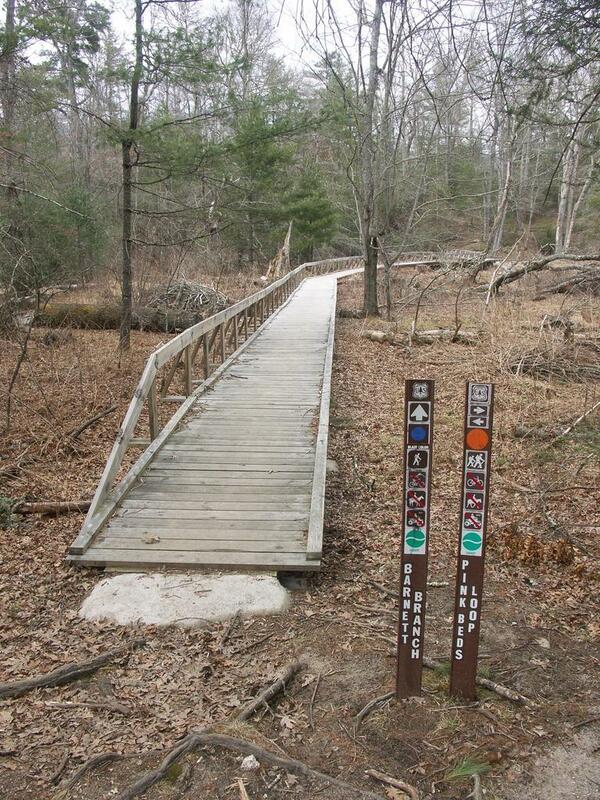 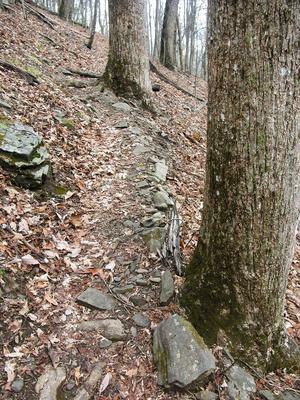 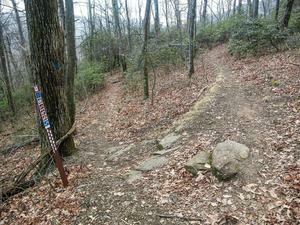 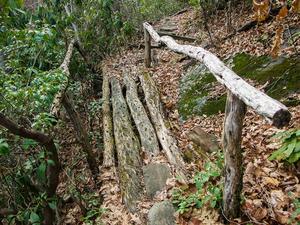 This trail is often used by hikers to cut across the middle of the Pink Beds loop, making it into a shorter loop hike. 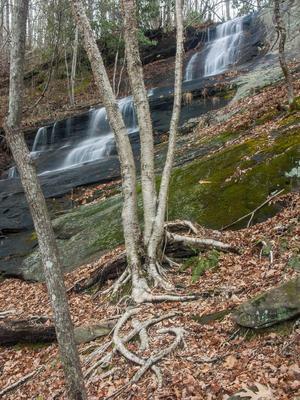 Barnett Branch - Waterfall #2 to Buck Spring Tr. 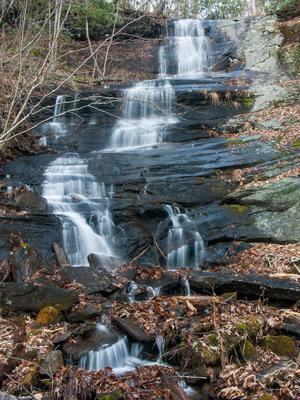 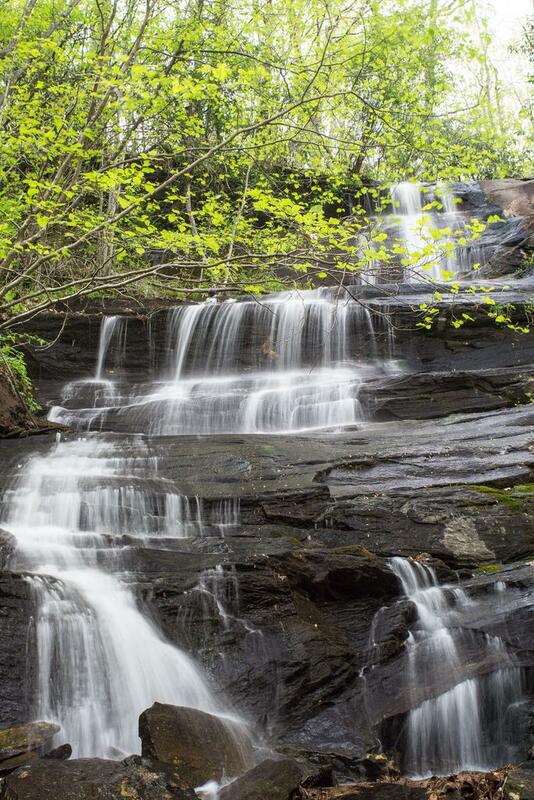 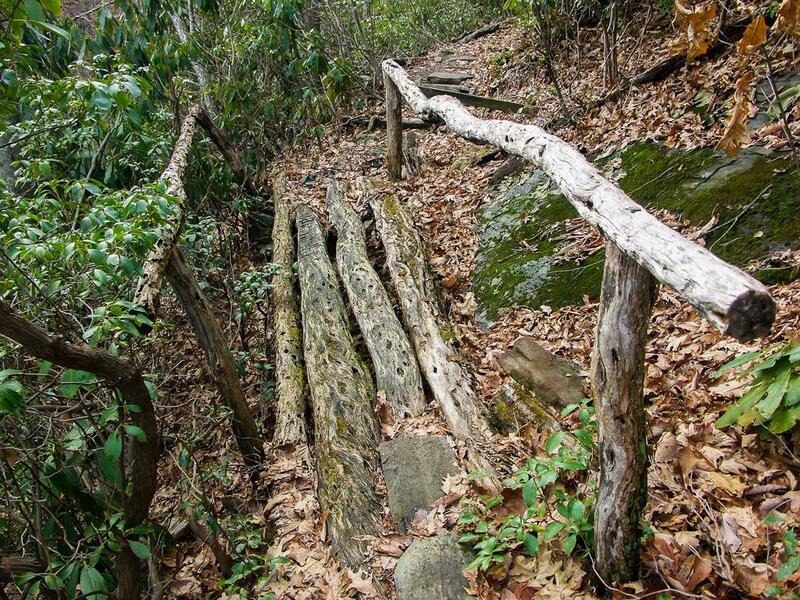 Michelle said: We drove on Yellow Gap Road to the Barnett Branch trail to see the two waterfalls. 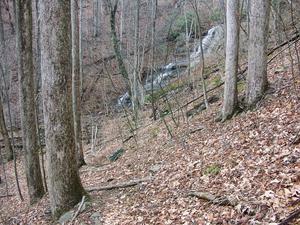 We hiked from Yellow Gap Road to the first waterfall and found that one with no problem. 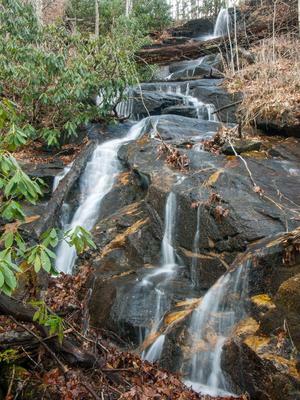 Then we started climbing the trail to find the second waterfall and could not find it - not sure if there was not enough water flowing so we missed it?